When it comes to Hollywood stars and their presence online, few are as vocal, candid and, frankly, entertaining as Dwayne Johnson. For film fans, and indeed studio executives, he’s Christmas – a driven, hard-working A-lister that often keeps his legions of followers in the loop whilst filming his latest Hollywood blockbuster. It’s no wonder Johnson earned the title ‘franchise viagra’ soon after his induction into Universal’s The Fast and the Furious series. His latest gig? Rampage, a big-budget rendition of the classic Midway video game about three animals – one wolf, one lizard, and one albino gorilla – that become grossly mutated abominations when a science experiment goes awry. As is so often the case, a shady conglomerate (The Griffin Technologies Group) is to blame for the atrocity, and it’s up to primatologist Davis Okoye (Johnson) to clean up the mess alongside his team of associates – a team that currently includes Naomie Harris and Jeffery Dean Morgan, who are on board as an anti-poacher from Rwanda and a “groundbreaking geneticist from CRISPR,” respectively. 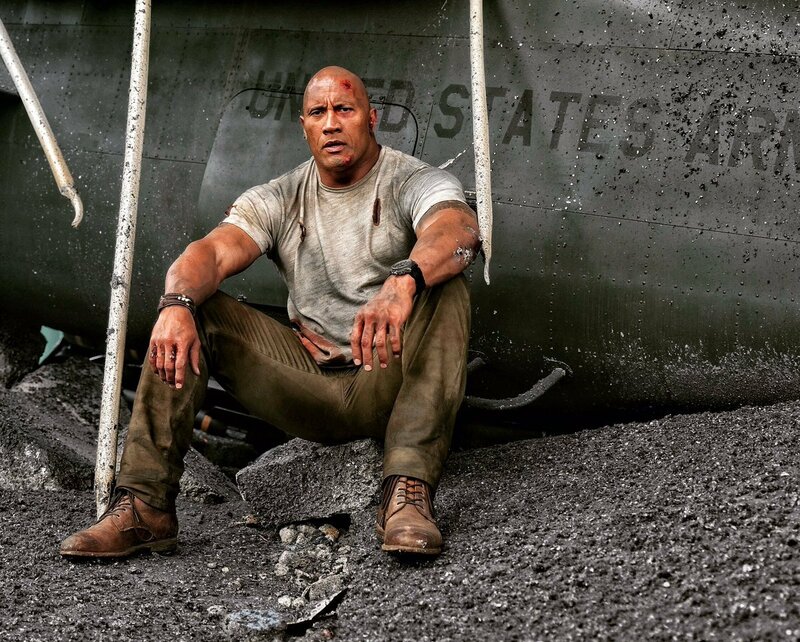 With Brad Peyton behind the lens, Rampage has been in active production in Atlanta now for a few months, which tells us that the first teaser trailer shouldn’t be too far away. 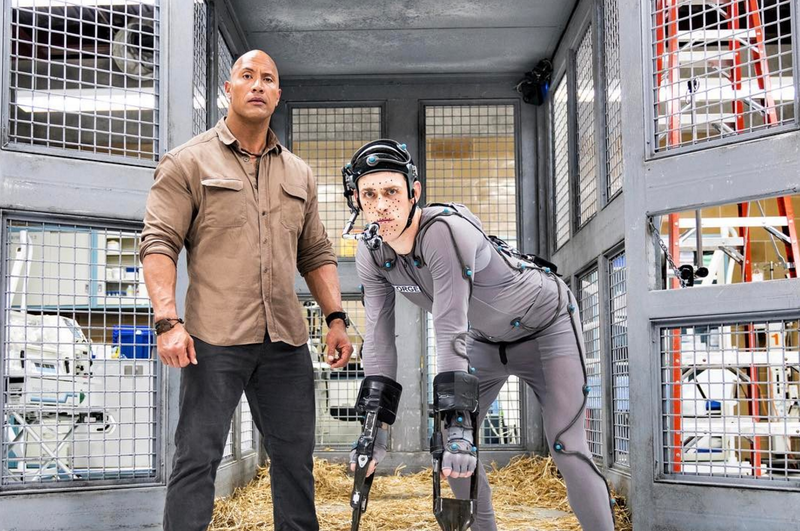 San Diego Comic-Con is likely too soon for New Line, given the intense VFX process required to render three skyscraping beasties, but Dwayne Johnson has taken to social media to deliver another picture from the film’s set (seen above). This time, we see his Davis Okoye battered and bruised next to what we can only assume to be a downed military plane. There are three impossibly large creatures looming on the horizon – one lizard, one wolf, and an albino gorilla named George – and they’ll all crash into theatres when Rampage opens on April 20th, 2018.